Also known as Persea Americana in some localities. Its flavor is exquisite and mild, is tender consistency that allow its combination with any food. 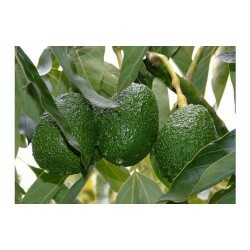 It comes from the avocado tree, originally from the tropical and subtropical areas of Central America. It is a pear-shaped fruit with fine green skin, has a creamy flesh also green, which covers a large brown seed. It is one of the few fruits that provides the body with good fats. This means that it can help maintain cholesterol levels and reduce the risk of heart disease. The avocado is considered the most consumed fruit worldwide, its main consumer and producer is Mexico, which uses it in most of its dishes. It is considered fruit and vegetable at the same time. It has a pear shape, green skin and varying texture. Originally produced in tropical areas. Easy to combine with other foods. It has vitamins and minerals. Calories: When compared with other fruits, its calorie intake is extremely high, because for every 100 grams you will get about 160 calories. But, as we have told you, is a highly nutritious fruit, so they are not harmful, but on the contrary, will help you generate energy in your body and control cholesterol. Fats: It is rich in good fats, as most are monounsaturated, with high amount of omega 3 and vegetable oils. Servings of vitamins A, C, E, D, B1, B6, B12, K.
Minerals, such as calcium, iron, magnesium, potassium, magnesium and zinc. They provide a high amount of fiber. 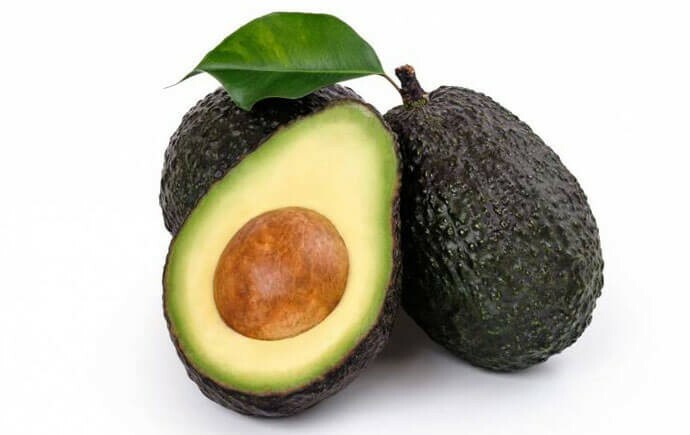 Commonly used as part of the diet of those who maintain a healthy lifestyle, avocado is also used for other aesthetic purposes that help improve your health. Know part of its benefits! Very nutritious. It is rich in potassium, magnesium and zinc. In addition, it has many vitamins ideal for maintaining the immune system in excellent condition (vitamins: E, A, D, B-6, B-12 and K). Hydrates and protects the skin. It contains omega 9 and vitamins that stimulate the production of collagen, which helps moisturize and soften your skin. Hence it can be used directly as a mask on the face. It protects the sight. It has the antioxidant lutein, which helps good eye health and decrease the risk of diseases related to vision loss. Improves metabolic health. Thanks to its fiber content, helps with metabolism regulation, weight loss, cholesterol regulation and bowel cleansing. High levels of potassium. By eating a 100-gram serving, you'll get 14% more potassium than recommended daily, making it one of the most potassium-rich dishes in the world. It protects the heart. Since 77% of its calories come from fats (oleic acid), is the most fatty food of vegetable origin that exists, helping to prevent cardiovascular disease. Multipurpose. Its delicious flavor is ideal to combine with any diet, and thanks to its properties it has been given other aesthetic uses. Avocado Seed Is it consumed? It possesses 70% of the amino acids. Most of the fiber is concentrated in the seed. Its oil is used for facial treatments. Scratching, roasting and drinking this seed controls asthma. It contains high levels of energy. It has different uses, after being scratched can be toasted and eaten, drink tea, use in salads or liquefy. Enjoy the benefits of avocado, including it in your daily diet! In Naranjass.com you can obtain this fresh fruit to enjoy it in your dishes, and the best of all, without losing its properties. Don't wait any longer and start taking care of yourself and your family with the most nutritious food! You can place orders whenever and wherever you want.